Calling all previous and potential future volunteers! You are invited! 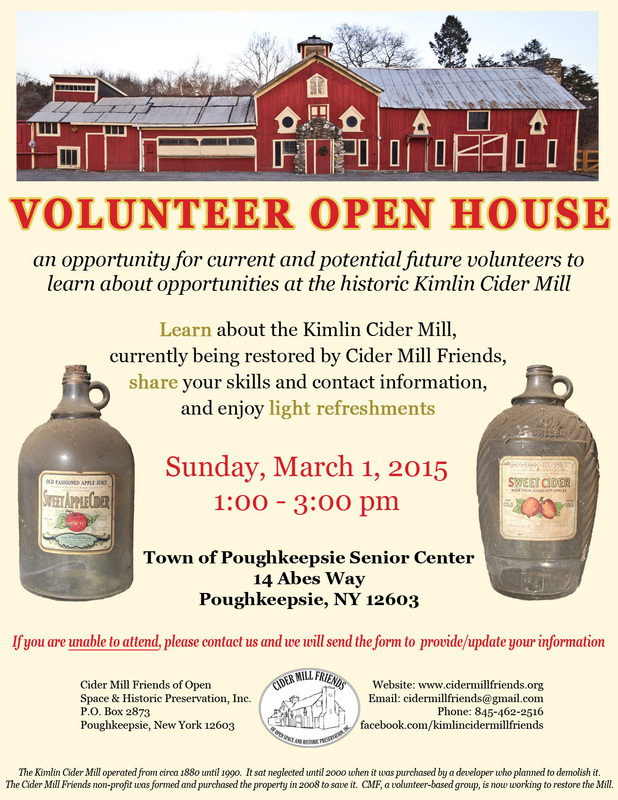 We are holding a “Volunteer Open House” to gather together previous and potential future volunteers. We will describe various ongoing and future projects. You can learn how to get involved. If you are unable to attend, we ask that you please complete this form and email it to us. Please note that this event will take place at the Poughkeepsie Senior Center. It will be too cold to have this event at the Mill. This entry was posted in Events on February 6, 2015 by cidermillfriends.